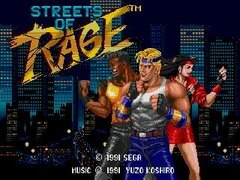 A Blog dedicated to Animation, Video games, Star Wars, Streets of Rage, Soccer, Life, and my lovely Wife! It was great to finally start talking about the main bad guys of the game as well as talk about other cool Kratos details. When David Jaffe told me about how he decided on Kratos having the pale skin and the fact that the story reason of the ashes came later it blew my mind. Enjoy the Highlights of the panel and ask away! I'll try to answer as best as possible. Have you done a complete run through of the game? (I'm assuming it's in alpha, but I could be wrong. Lol ). Also, will we be seeing more multiplayer maps soon? Yes, the game is playable all the way through. there is lots of polish left to do on bosses and enemies however. I'm not sure which maps will be included in the Beta. There are several other maps we have not shown yet but maybe one new one will be revealed soon. We are focusing on quality rather than quantity at this point. we want to have maps that are very detailed and have lots of interactivity rather than tons of maps that are barren and empty. The Round 1 Boss. Special moves include a knock-down kick and a boomerang throw. Not too difficult.